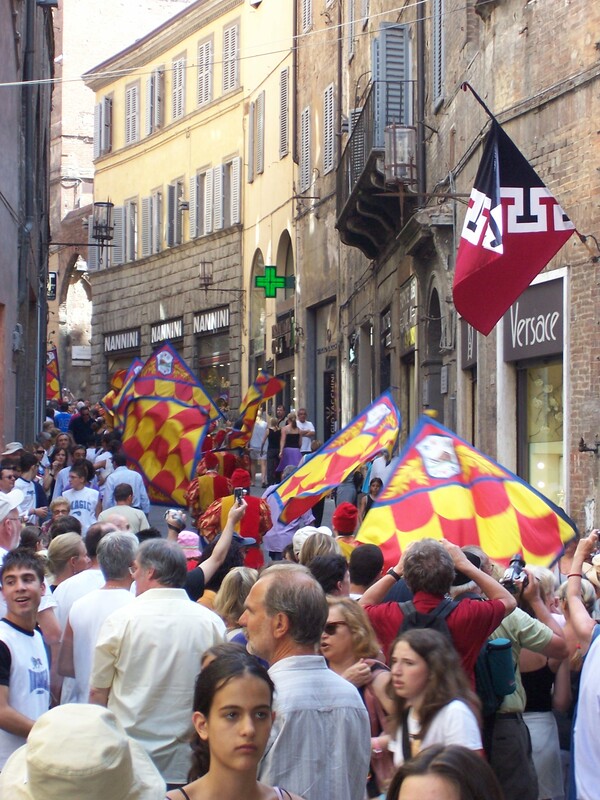 The Palio in Siena can be a fun, albeit somewhat overwhelming experience for any visitor to the city. That’s why we recommend attending the Palio with the guidance of a local expert — someone who can help you navigate the busy roads and even busier streets, who can get you the best food and the best views and make your Palio an event to remember — someone like our Local Host, Kim. Here’s the magic she made happen for our recent Palio guests. “I managed to get the owners of the apartment I had booked for the Palio to open it up early for those who didn’t want to walk around. We then arranged to drop off a big bag with tons of junk food and snacks and camera equipment the guests had so they wouldn’t have to carry it around. We walked to the restaurant and I explained a lot about the historic buildings, history of Palio, etc. on our way. After lunch, we all went to the baptistry 50 yards away which is not to be missed. It was beautiful and they liked it a lot. Afterwards we went back to the apartment, and everyone looked around and were very impressed with it. Want your own VIP Palio experience? 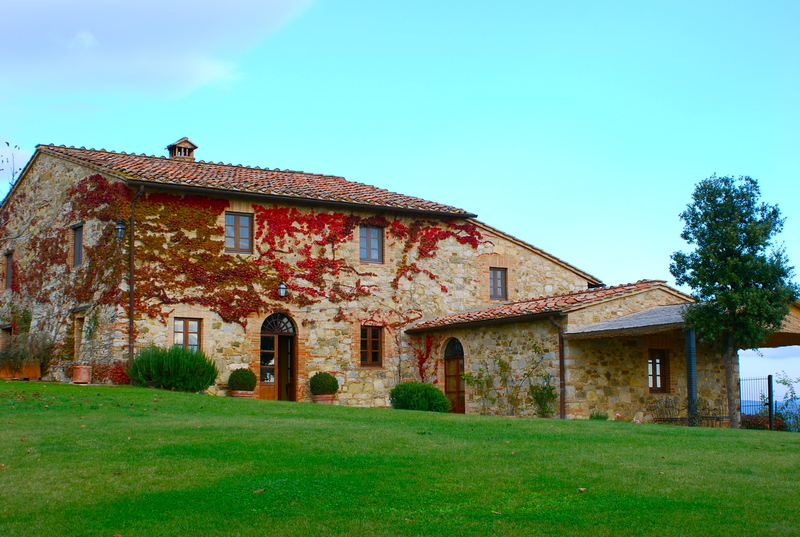 We can make it happen, with the help of our amazing Villas and Local Hosts in Tuscany.